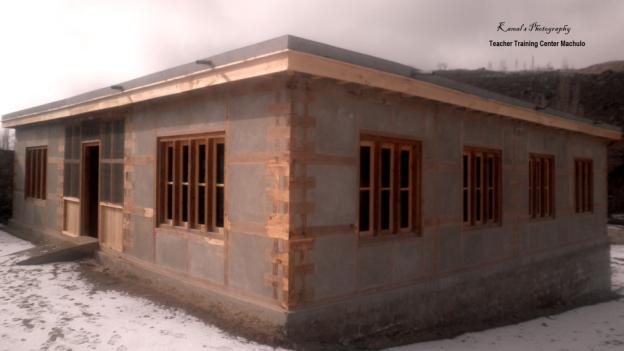 Felix Foundation Baltistan-Machulo and Government of Pakistan Education Department Gilgit Baltistan have been taking keen interest into educational development of Hushe Valley. 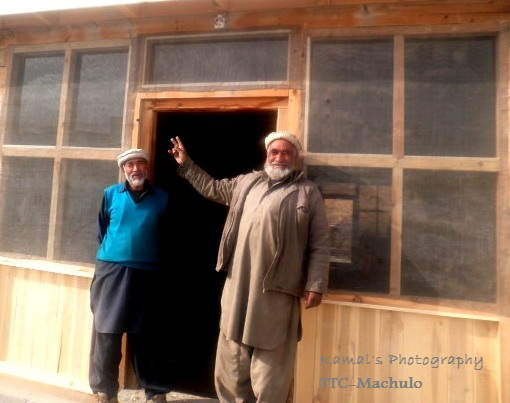 They both mutually understood the innovation to change for educational measure in Hushe Valley. Both parties signed an agreement to promote quality in education. Governments took first step impressively and donate 05 Kanal (15000 sq Feet) lands for FIFBM. 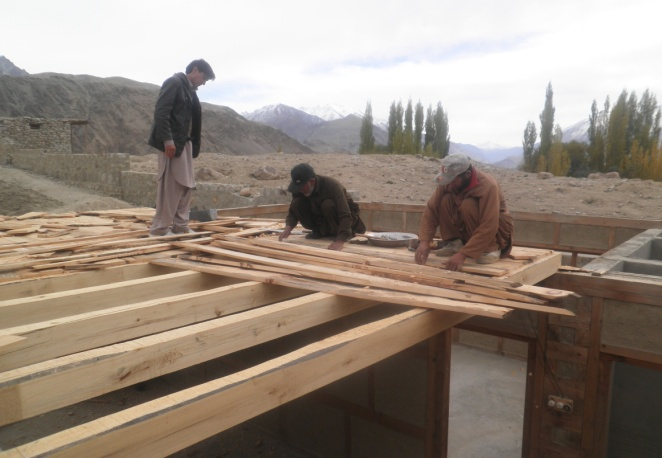 FIFBM got idea and sponsor from its Spain based organization Baltistan Foundazoa to establish a Professional development center. This center aimed to used for the complementary education; English Language, Spanish Language, Computer Education, Internet browsing, academicals debates on exceptional topics, Trainings to teachers, Lectures by Professors, meetings, colloquium, symposiums. Train teachers for modern teaching methodologies. Equip teachers' capacities for teaching. Enhance teacher's participation in healthy teaching. Prepare psyche of female teachers in importance of female education. Nurture up females in modern teaching & learning. Furnish capacities of female leadership in the valley. Familiarize the usage of modern technologies in education. Provide a comfy platform for youth to augment edification. Make an educational consequence perception-display in youth of the valley. 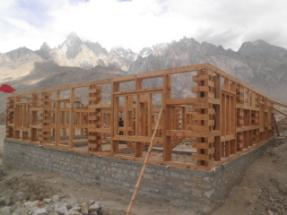 Baltistan Fondazoa approved a proposal to develop a unique architectural building in Hushe Valley with the aim to keep alive traditional architecture. They proposed importance of education in the valley and set aim as priority to promote education of the valley. Shamshair Ali and Basharat Ali forwarded time to time reports to BF. They funded and FIFBM members were about to start project implementation. Unfortunately, staff variation occurred in Government high officials. The project execution remained pending because of not issuance the NOC (No Objection Certificate) from government to start work. These days were about June 2010. The foundation members put their ever best time to get the NOC from government. 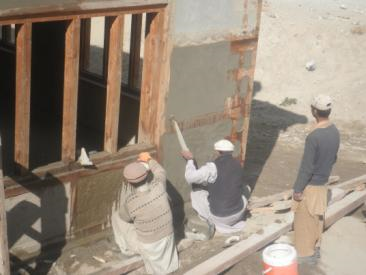 Their efforts remained away till May 2011. Finally, government issued NOC and the project executed in June 2011. 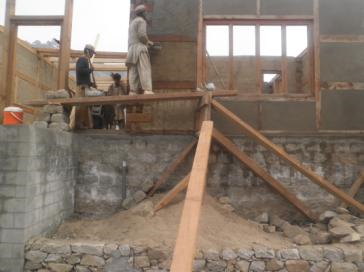 Akhond Ibrahim took keen interest in its construction. 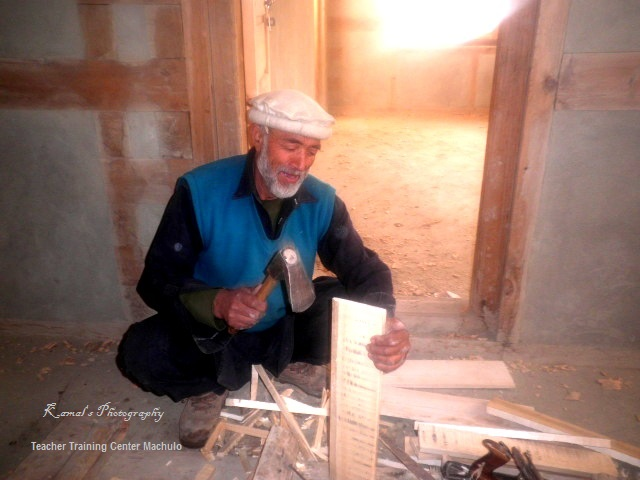 He even worked as a carpenter and he did his level best experiences for this construction. His experiences were highly implemented to construct this center in a unique architecture as he has good idea about cultural and traditional designing. Everything was going good. The construction was in process with its best time. The people were hoping to be train soon in this center. The students were gazing and were curious to join computer and internet classes. The teachers were so enthusiastic to get valuable trainings on their door step. 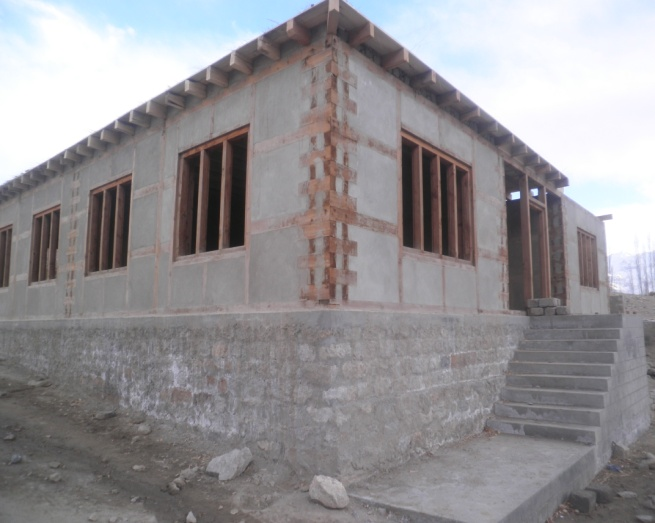 The foundation members were happy and were quiet satisfied with ongoing construction. Unfortunately, the hopes, wishes, curiosities, enthusiasms and commitments got a long and unexpected vacuity. The sponsoring side got a huge economical crisis and management changes as well. This circumstance caused to delay this construction after one month of its execution, July 2011 to July 2014. The long vacuum creates lots of disturbance for managing resources. The constructed parts were defecting by weather and gradually physical structure was getting bad shape. The woods were fitted in open air and rains put lots of bad effect on those woods. The same way Talis affected by flood and their budget was adjusted to save the center resources such as its physical structure. BF permitted FIFBM to adjust Talis flood effecters pending budget for TTC. The FIFBM members thankfully starts the project execution in August 2014 with a good enthusiasm and passionately. The members planned to do this task with following aspects. The mentioned and planed Resource Management executed in a very fast and passionate manner. Planners, managers and experienced team of FIFBM took active participation in its edifice. Approximately 260 people (Engineers, surveyors, Carpenters, electrician, plumbers and labors) exerted their best performances from its starting to date by various time frames. Only 10% cement and stone used in its construction. Only 20% mud or clay used. The unique architecture completed by using 70% traditional wood. Government and Felix Foundation project school teacher training of Hushe Valley. 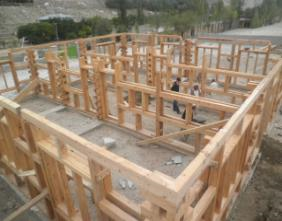 To give trainings to other valleys school teachers and make sustainable the project.